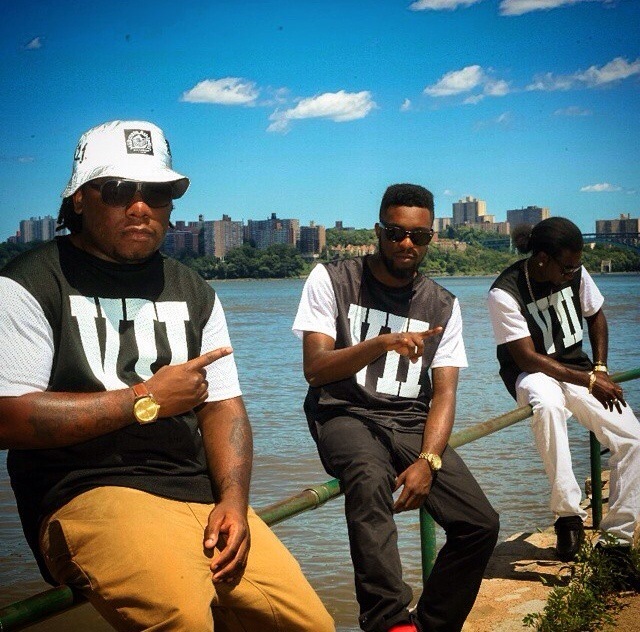 Brotherhood Is the new generation of rap groups repping the East Coast (Englewood,NJ & Brooklyn,NY). 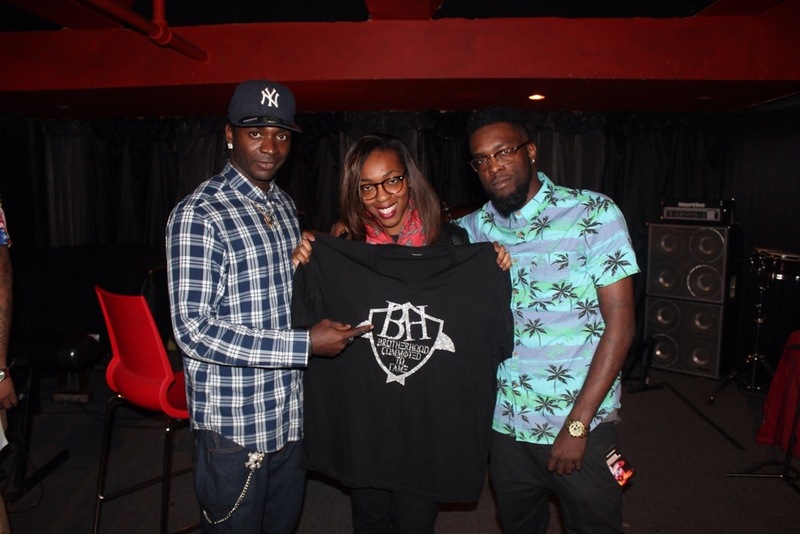 The group is comprised of rappers, King Muziq , J.R. Banga, and reggae artist Nino Million. Brotherhood is known for their diverse approach to music, coupling lyricism and a versatility that fuses a multitude of genres. A collection of true creators, Brotherhood consists of actual musicians and producers , which have come together to cultivate a unique sound. 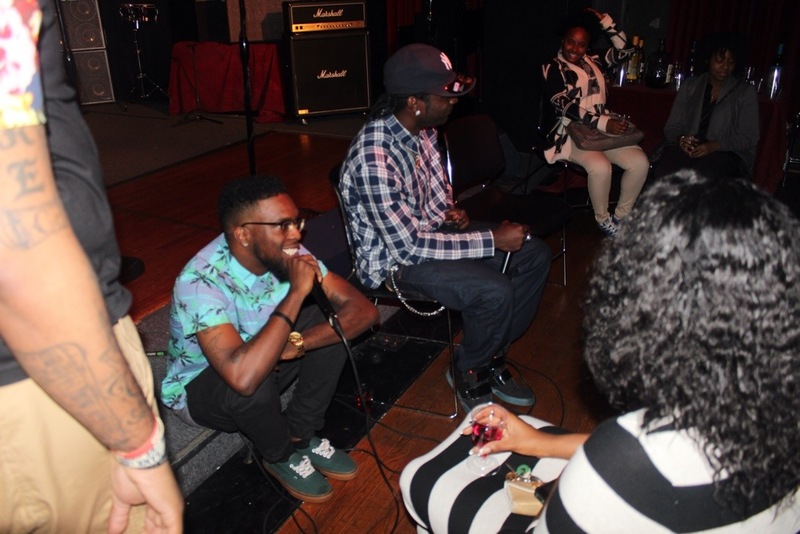 In recent months, Brotherhood has made waves with performances at venues such as BBKings, SOB’s NYC, Santos Party House NYC, Club Pyramid and Greenhouse NY, as well as community enrichment based events such as Mexicali in New Jersey. This past Tuesday, October 28th, Brotherhood put together a listening event to push and promote their latest project, T.H.I.S (Treasure However It’s Sent). The event was held at Smash Studios in the midtown section of NYC. It was a nice intimate setting of supporters. Drinks were provided and those in attendance were given the opportunity to mix and mingle, while music played in the background. King Muziq and Nino Million then went on to the real reason everyone gathered together. Unfortunately, J.R Banga couldn’t make it due to the fatal death of one of his good friends. Brotherhood introduced the songs that were later debuted on their new EP T.H.I.S, Halloween day. Songs included are as follows: No Return, Lost, Reckless, Party Bus, and more. Also on the EP is their single, Club on Fire, which is available for purchase on iTunes, Spotify, google play store, and any other site. This EP shows the versatility that this group has. It includes songs that you can dance to as well as songs that slow down and make you sit and reflect. My favorite is Lost. This is a song that was written during a difficult time, a real life situation. The beginning starts out with a spoken word interlude that sums up the dynamic of the entire song. It talks about feeling lost in a world where you try to progress and find success. To hear this song, along with the others, be sure to download this EP. T.H.I.S is available for free download on datpiff.com. The direct link is: http://www.datpiff.com/Brotherhood-This-mixtape.661497.html. Download and share! Stay tuned for in depth interview with Brotherhood Ent.